It is with heavy hearts we announce that Reg passed away peacefully on September 15, 2018, with his family by his side. His family is comforted knowing that he has now joined his wife Norma on their next adventure. Reg is predeceased by his parents Connie & Gordon Meneer and his sister Marie (Bob). Reg will be remembered by his daughters Jean Katchmar and her children, Tim (Carrie) and their children Gracie, Thea and Quincy; and Jeff (Kaysi); Mary Anne (Garry) Miller and their children Marnie (Israel) and their daughter Matea, Diane (Nick), and Amber; Susan (Ian) Morris and their children Rachel (Lucas), Ryan and Alex; as well as his brother Ray (Bev). Reg will also be missed by his cousin Garry (Jeanette) Henderson who were very special friends in his life. Reg was born in Carberry, Manitoba on September 6, 1935. Given the nickname Buzz at a young age, he had the great fortune to do many things in his life. He was never at a loss for words and could tell a story like the best of them. He met the love of his life Norma Lamb in elementary school and married her in 1956. Together they welcomed their three daughters. His work life took him in many directions until he became the Sheriff for 25 years in Thompson, MB. They spent many summers at their Setting Lake cottage until they retired to Courtenay, BC, where they made many great friendships. When Norma passed in 2011 he moved back home to Manitoba. Reg and Norma lived a full and happy life and cherished their grandchildren very much. 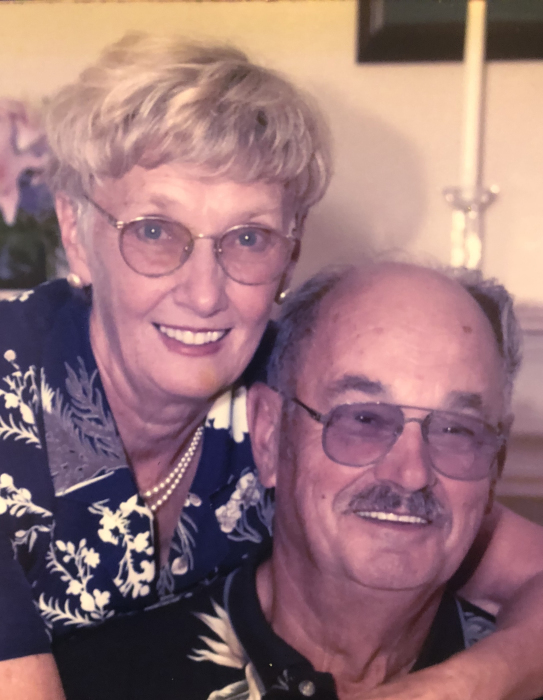 They were very involved in all of their grandchildren’s lives and would often travel across the western provinces and the United States to attend graduations, recitals, and sporting events. Norma and Reg loved to travel together and had many memorable holidays. They went on lots of cruises, and he had many stories to tell about their trip to China. Nothing made him happier than having his entire family gather at the “Farm” every third weekend in September, and fittingly, they were there with him at the Farm when he passed. The family would like to thank the wonderful staff at Third Crossing Manor for everything they have done for Dad. In honour of Reg’s memory please have a toast with a glass of wine at your next family gathering.